Moving makes most people panic especially with the huge looming changes ahead. One of the biggest fears of those that are planning for a move is the possibility of breaking and damaging their fragile valuables. There are lots of breakable stuffs that could potentially end up in the trash if you are not careful. Breaking stuffs before, during, and after your move is a possibility without any proper packaging and transportation help. Thus, if you want your stuffs 100% protected, make sure you hire professional movers for the job. What items are at risk of damage and breakage when moving? Relocation requires a lot of work and resource. Although the change and transition is a life-altering decision, there are also huge challenges ahead. Improper packaging, storage, and transportation are all contributing factors that would easily damage and break your valuables. However, what are the items that must be properly packed, stored, and transported? Stemware, decorative accessories, breakable ornaments, etc. Moving fragile items demands the right preparation in terms of packaging. Before you transport your stuffs or have them stored, the first thing you need to do is pack them in safety. Packaging keeps fragile items safe from shocks, vibrations, and bumps that could cause them to break, chip, or get totally damaged. Why proper packing saves things from breaking? Pack the items inside the box in a way that the breakable pieces would not shift. Proper packaging allows the fragile valuables to withstand the move either by hand or by vehicle. It is important to know the proper moving practices, specifically on how to properly cushion your stuffs. The right packaging makes the items flexibly transportable in a car trunk or stackable in a storage locker or moving truck. If you think packaging your fragile valuables is a piece of cake, think again. Identifying and avoiding some of the most common packaging errors is as important as knowing the right steps of safe moving. 1. All items can be packed the same way. This misconception puts all your fragile stuffs at risk. The truth is that different items require a matching packing method in order to keep them well-protected, cushioned, and safe. For instance, you pack electronic equipment differently than when you pack your fine china. That is a rule of thumb that most people ignore or are not aware of in the first place. 2. Blankets, bath towels, and clothing will work. A packaging mistake wastes much of your resources and valuables. One of the most destructive misconceptions is that clothing pieces, blankets, bath towels, and the likes will work. They will not. Soft cloths provide padding however it will not possibly cushion the fragile items from the effects of bumps, shocks, and vibrations during transport. You need the right packaging materials that are designed to protect breakable stuffs at all times. 3. Ordinary moving boxes help. Moving fragile items presents various hazards such as the boxes getting banged or dropped. These are common and oftentimes inevitable possibilities. Boxes could also experience getting shaken due to the vibration of the truck engine. There are also bumps during the loading and unloading process. Thus, ordinary boxes and cartons will never work when transporting your breakable stuffs. Long distance transportation requires the right moving boxes with special physical characteristics that are designed for maximum cushion and protection. 4. It is okay to use newspapers for the packing. Wrap fragile items, particularly fine china, with plain packing papers. You cannot use the newsprints to pack and cushion the items. That’s because regular newspapers tend to stain your valuable fine china. The stain potentially sticks onto the surface and eventually destroys the aesthetics and quality of the items. There are specifically designed packing papers that provide maximum cushion without destroying the looks of the fragile items they are wrapped with. You can pack the items anywhere convenient. No. Effective and safe packing starts with having and setting up a good workspace. Be strategic in the packing process such as placing the box on top of another. Proper workspaces and stacking the boxes help prevent back issues due to repeatedly bending at the waist while packing. This is a more convenient and safer strategy compared to bringing your packing materials from one place to another and putting them individually inside the box. It is quite messy and unorganized and requires you to carry the heavy box in different places around the house. Before Cushioning your Fragile Valuables… Remember These! When packing and cushioning your breakable stuffs, there are important things to initially consider. These points also determine if your packaging method does work with safety and efficiency. The cushion must be resistant enough to withstand the weight of the item that is being wrapped or protected. The package must not compress or shrink under the item’s weight. Resilient materials are good cushioning agents regardless of the weight of the product and the pressure of the transport. The cushion should withstand all types of multiple shocks, bumps, and vibrations. It is well-protected and will not bounce back when bumped. The cushion does not compress so that it can still protect the item on the following bumps. The cushion will be able to withstand temperature, humidity, and air pressure changes. This is an important factor when moving or shipping your stuffs long distance. The right cushion also protects the package when the items are stored in a particular environment with no climate control features. Use the right packing materials and layer the package with bubble wraps, polyethylene foam, or packing pellets at the bottom. Utilize double-layered cartons such as china boxes for safety. Wrap bowls, plates, and serving pieces in separate packing papers. Delicate articles need more shock or bump proof materials such as bubble wrap. Fragile dishes need dish packing boxes not only to protect the breakables but also to make the packing more convenient. This also works for stemware and glassware. Secure the packages with small packing tapes in order to keep the wrapping in place. For glasses and stemware, it is important to divide the fragile items into separate individual cells. This way, the items are protected from any damage due to vibrations and bumps. Packing materials such as 100% corn starch pellets or styro pellets fill empty spaces inside the box. This prevents the contents from bumping into each other and shifting during shipping or transport. It also keeps the box firm. Small and more delicate items require packaging in separate boxes prior to placing them inside the larger moving carton. Add more layers of packing materials as the final cover to the top of the moving box. It is vital before sealing the box, ensuring that it is firm and free from shifting. Don’t forget to label the boxes for reference. Place “FRAGILE” on the cartons and put the list of the contents in the box to make it easier for you to locate them. Use the original boxes of the computer and electronics. However, if the boxes are no longer available, a slightly larger box than the size of the component will work. This allows more rooms for effective, safe, and adequate packing materials. Individually pack the components such as amplifiers, CD players, cassette players, turntables, and video players. Remove the wires, jacks, and cords and wrap them in separate packing materials. Make sure you label the items to avoid losing them and to conveniently reconnect the system in your new place. Don’t forget to back up your files and data in the PC before you pack. Use cardboard china double layer boxes for electronics while linen boxes are ideal for large printers. Separately pack TVs and monitors in their original boxes. Moving TVs also require plasma boxes. Professional movers likewise use moving blankets in order to prevent damage. Extreme cushioning helps in protecting the components of the boxes. Cushion the top and bottom of the boxes and the spaces in between the electronic pieces. Use packing papers and bubble wraps as dividers of the electronic devices in the box. Put FRAGILE on the top or sides of the boxes along with the contents and the area of the house where the box should be placed. Choose an appropriately sized box such as the one that is close to the size of the lamp shade. Double layered china boxes are safer and protect the lighting fixture especially for long distance transportation. Remove the lamp shade before packing the lamp to safely move the items. Separately packing them makes it more convenient and prevents any damage to the lamp shade. Use a large amount of packing paper as well as bubble wraps around the lamp and lamp shade. Put a label to the box such as FRAGILE, NOTHING ON TOP to indicate that the box should not be stacked with other boxes above it. This prevents crushing the lamp shade and keeping it in tip top shape throughout the trip. These breakable valuables are obviously precious and needs the utmost care. Handle antiques and collectibles with extra caution as most of these items are extremely vulnerable to breakage. Use premium quality packing and moving services if you feel that you need to entrust your possessions in the hands of the experts. You could never risk damaging timeless pieces and valuables with improper packaging, could you? For DIY packing, make sure you place the items in double layered china boxes for extra protection from bumps, shocks, and vibrations. The rule of thumb is to choose boxes that are slightly larger than the actual size of the content. This gives the items ample space for more cushioning and prevents putting the stuffs in a precarious position. Wrap the antiques and collectibles with ink-free, resilient, and durable packing papers. Clear or plain papers prevent blotting or staining the items which could be very difficult to remove. Cushion the items with a large amount of bubble wrap. This packing material is a good protection agent that shields fragile items from the common hazards of moving. Make sure the tape you use to secure the packing paper does not make contact with the wrapped items. Antiques and collectibles are easily damaged due to the sloppy mistake of sticking the tape to the item. It accidentally ruins the finish or veneer surface and may cause you thousands of dollars. Start with removing the pictures from the frames in case the items get damaged or lost. After all, picture frames are replaceable but photos, especially old ones that you have no substitute for, are not. Secure the breakable side of the framed pieces with a star pattern masking tape. This is a security measure that holds together the glass in case the item breaks during transit. Use Foam Corner Protectors to shield the vulnerable corners of the mirror, framed art, or picture frame. Separate thinner items and group them together using polyethylene foam or bubble wrap. 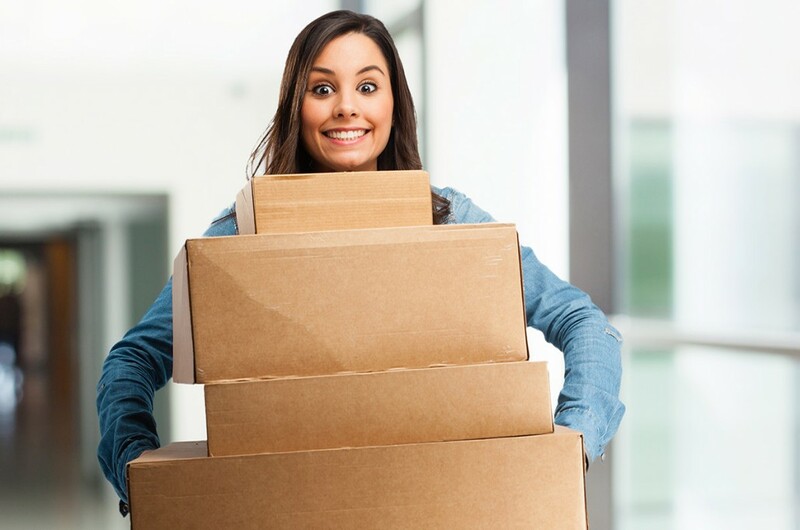 Make sure the packing materials are in layers to provide more cushion when the boxes are loaded, unloaded, and transported to your new place. You can use double layered china boxes or better yet crate them if you have costly and valuable stuffs to transport. Protect the boxes with the FRAGILE label. Don’t forget to indicate the assigned room for the box and the contents inside for easy and fast reference. DIY packing is the most common and free way to secure your items and prepare them for the big move. However, more and more instances of breakage, loss, and damage trigger people to take extra caution. You can go for the time-consuming and risky DIY packing or hire professional packers to do the dirty job. Why choose the latter? Moving companies offer secure and quality packing services with trained and professional staffs. These packers undergo extensive up to date training for basic and advance packing methods. Reputable moving companies make sure that their employees are trustworthy and respectful as they will be working closely with you and have access inside your home. One of the top reasons why it is better to hire professional movers and packers is that they are fully equipped with first class quality materials. Compared to DIY packing when you still need to request and buy the packing materials, hiring the pros is a packaged deal. Trusted movers also have the latest heavy duty transportation vehicles to bring your stuffs safe and sound. Packing and moving your stuffs eat a lot of your time and energy. If you don’t have the luxury of time and effort to invest on the move, hire no less than seasoned movers to assist. Most moving companies offer all-in-one solutions. Arrange for a moving service that includes packing, loading, transporting, and unloading the boxes to their designated rooms. You would not even lift a finger to move from one city or state to another. Reputable movers offer affordable and competitive moving rates to their customers. However, it is always wiser to choose cheap deals but with proven quality results. You need to be wary of fly-by-night or substandard companies that offer discounted services but to a much steeper price. There are lots of breakable and fragile items in your home that makes moving such a daunting task to begin with. The good news is that you can now enjoy hassle-free relocation starting with professional packing services. Call now for details!